Fayetteville is the third-largest city in Arkansas and county seat of Washington County. 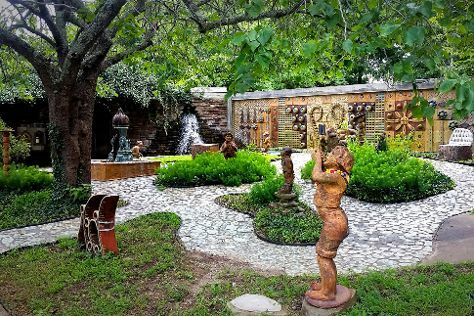 On the 4th (Mon), admire the masterpieces at Crystal Bridges Museum of American Art, then shop like a local with Terra Studios, then take some stellar pictures from Mount Sequoyah, and finally take in nature's colorful creations at Fayetteville Downtown Square & Gardens. For more things to do, other places to visit, traveler tips, and other tourist information, read Fayetteville trip itinerary maker website . In March, daily temperatures in Fayetteville can reach 60°F, while at night they dip to 35°F. Finish your sightseeing early on the 4th (Mon) so you can travel back home.